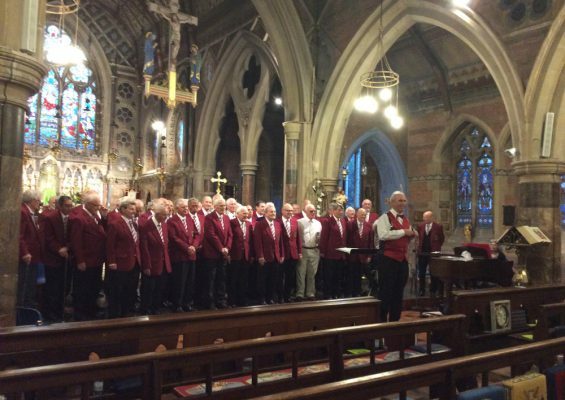 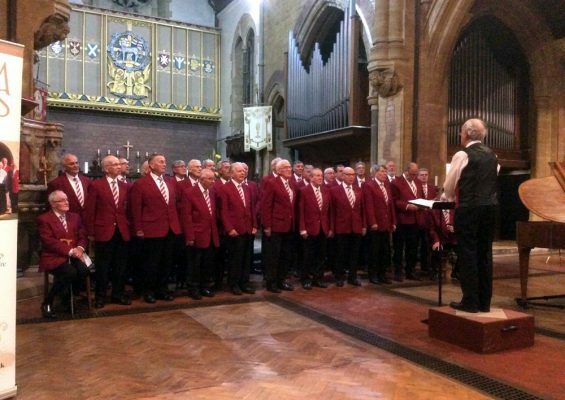 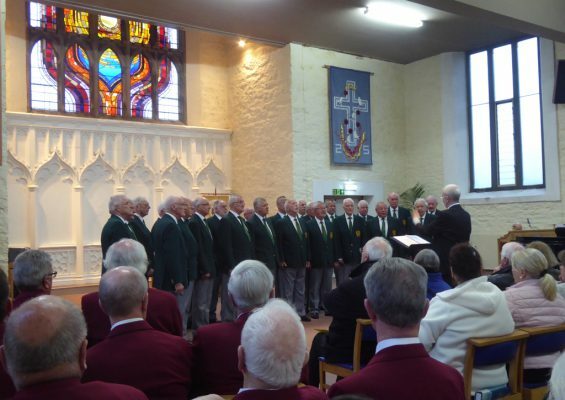 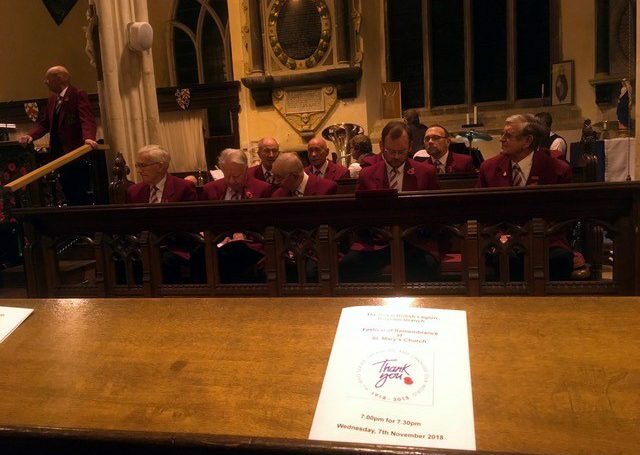 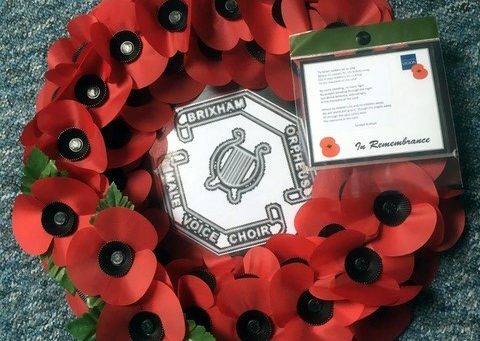 The Brixham Orpheus Male Voice Choir joined the town at its Annual Service of Remembrance in St Mary’s Church, Higher Brixham compered by Capt. 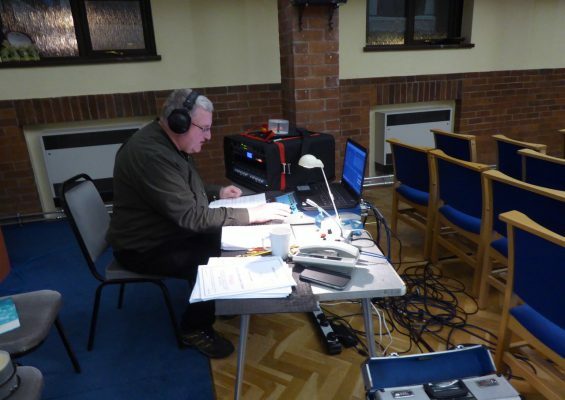 Bob Curtis. 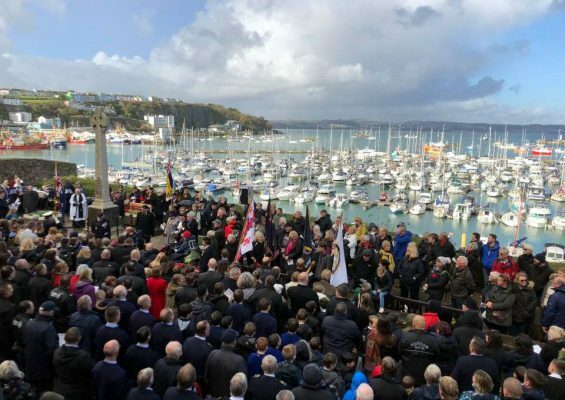 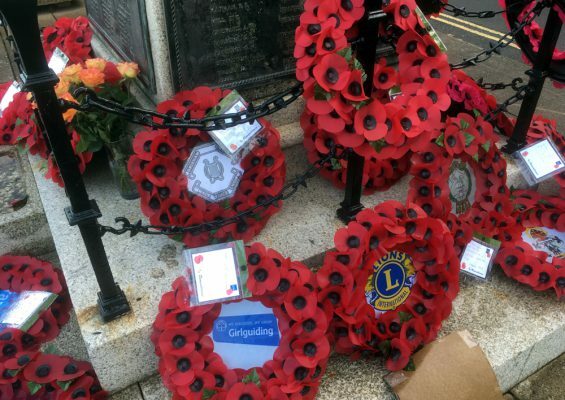 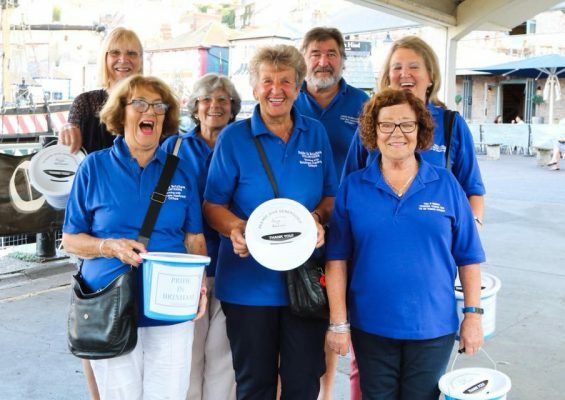 Organised by the Brixham Branch of the British Legion, the festival service was well attended by the town as the choir alongside Brixham Town Band and children from Brixham Church of England Primary School lead the service. 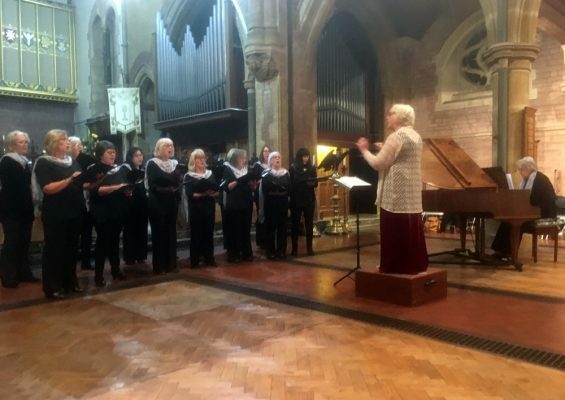 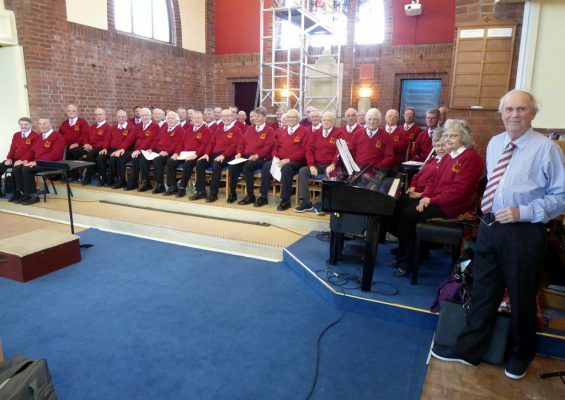 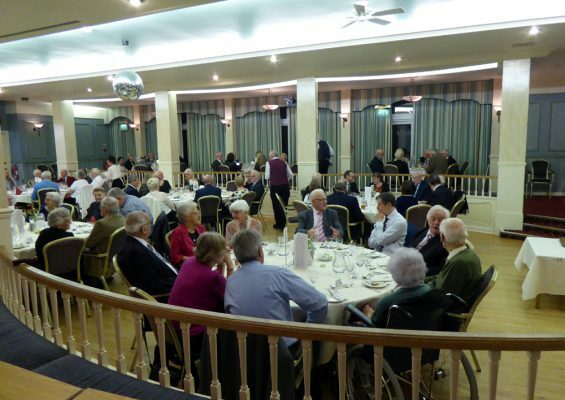 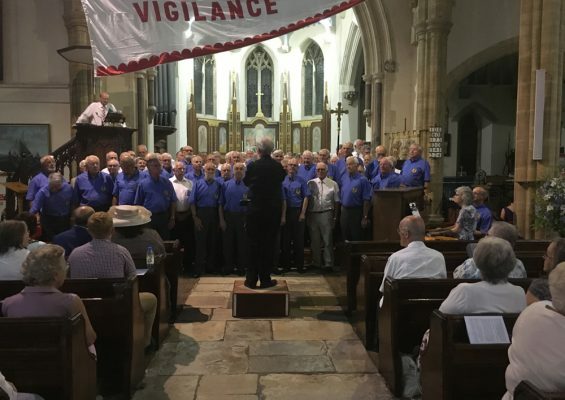 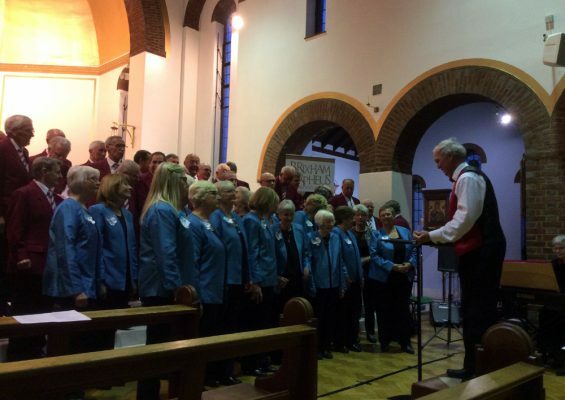 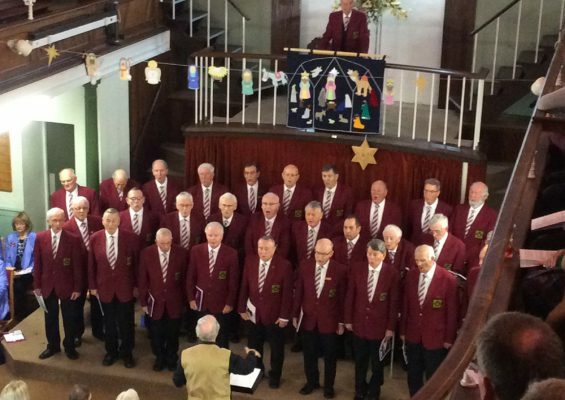 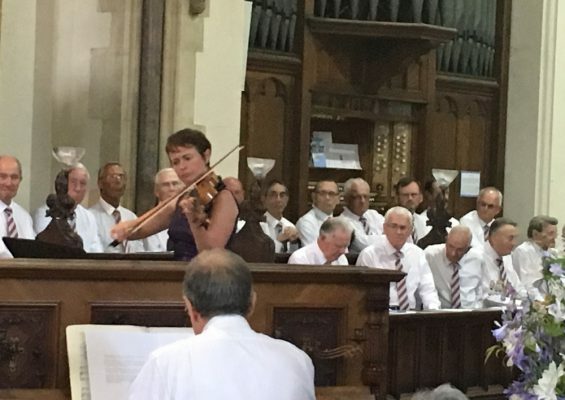 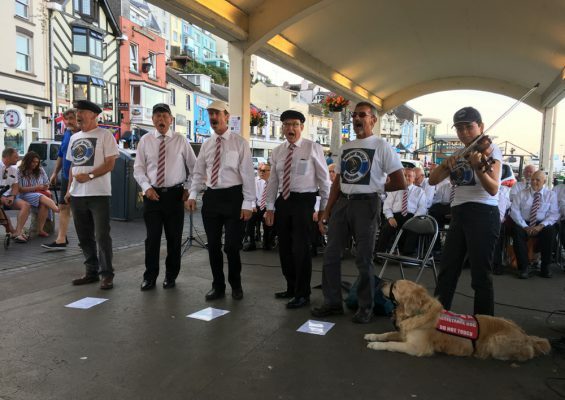 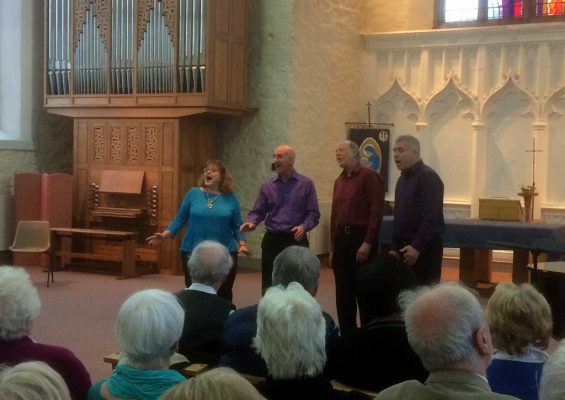 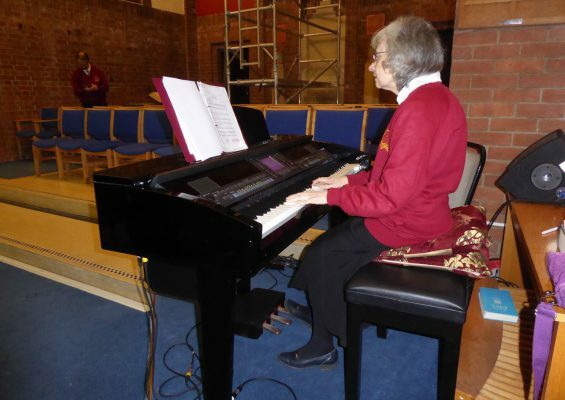 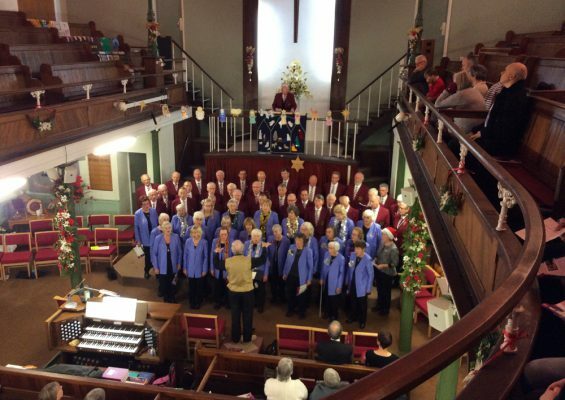 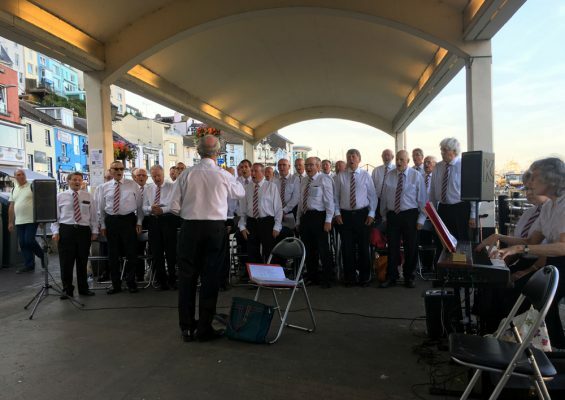 The lads sang four pieces during the service including Cwm Rhondda; Mansion of the Lord; Why We Sing and American Trilogy and along with the Brixham Town Band lead the community singing with many well-known wartime songs. 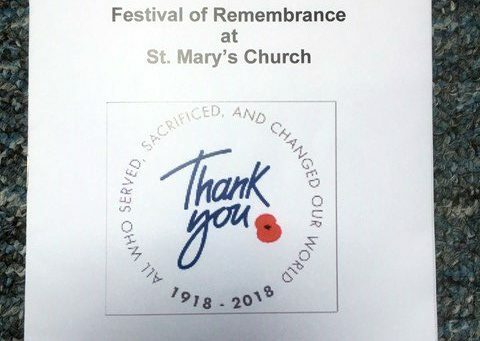 Every year each service of Remembrance has a special meaning to those who attend and none more so than this year as the centenary of the ending of WWI approaches. 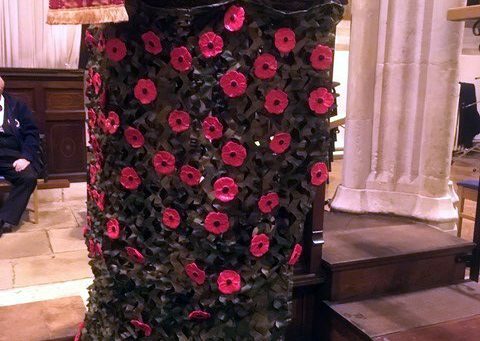 Representatives of the choir will be attending different ceremonies on Sunday the 11 November, the day war ended 100 hundred years ago. 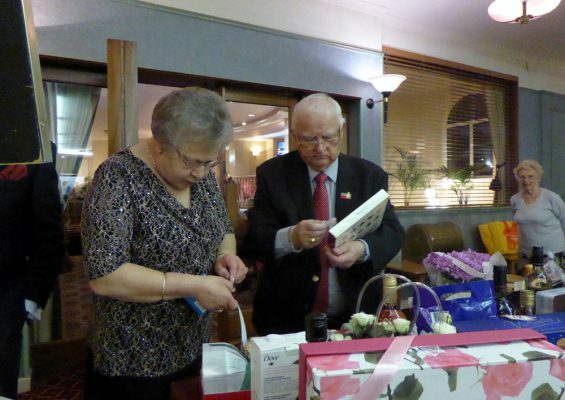 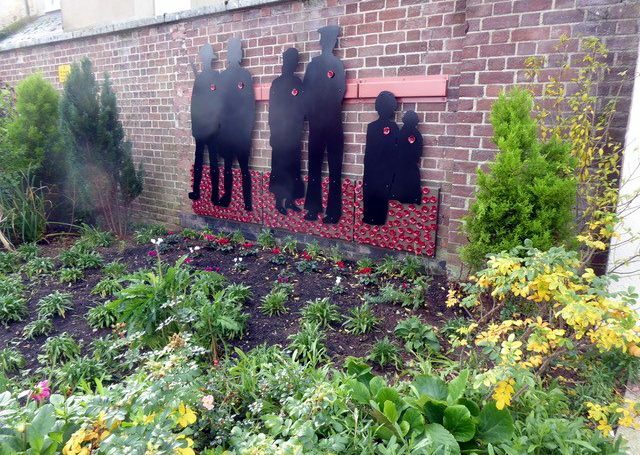 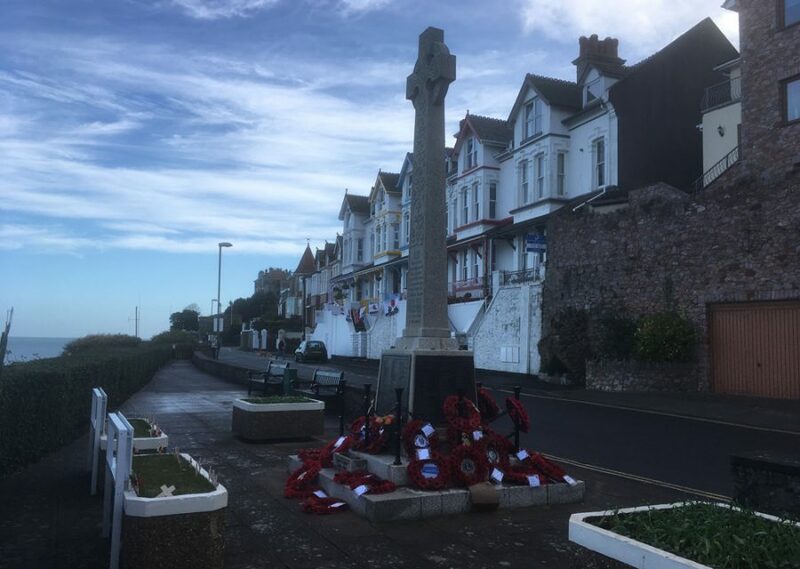 These include the laying of a wreath at the Brixham War Memorial on Berry Head Road in the morning and attendance at the launch of the WWI silhouettes representing ‘shadows of remembrance’ in the gardens of Brixham Baptist Church.